After a successful run last October, “Breaking Out” is back for 2 nights only at the Grenada Trade Centre, 13-14 April. “Breaking Out” is a 2-hour theatrical production written and directed by Chris DeRiggs and produced by Heritage Theatre Company. The cast is headed by Robert Whyte and Lisa Grappy James. The play is a love story, but it is also a story of love in its broader context. A man and a woman fall in love only to have their relationship tested by two disasters, one man-made and the other natural. Events force the couple to confront the timeless question of what true love really is. What are the limits of giving and sacrificing in the name of love? Social and political events trap them into a state of mutual imprisonment and sharpen the dilemma they face. In the end, they have to make fateful decisions. And time is running out. Theatre patrons can look forward to an entertaining evening in this, the second run of Breaking Out, not only because the story is an interesting one, but also because of the colourful characters and the many funny incidents. Patrons will laugh from start to finish. Heritage Theatre is making a special pitch to teachers to bring their students to the theatre and use this opportunity to stimulate new interest in drama among the schools. This is part of the company’s observation of its 30th year of existence. In this regard, Heritage has asked corporate Grenada to do what they can to support the attendance of students. 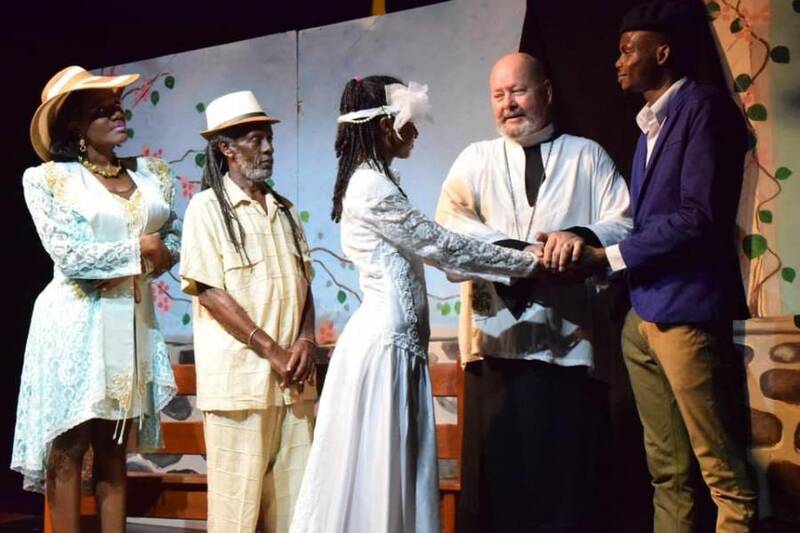 Heritage is also assuring its patrons that the play “Breaking Out” is worthy of being seen by entire families as the message is positive and without x-rated content. Visitors to Grenada are especially welcome. It’s an opportunity to experience another exciting side of Grenadian life.